No substitutions. 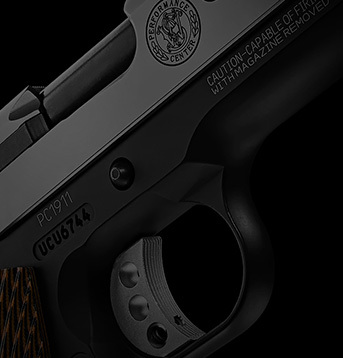 Rebate claims must be submitted online at www.smithandwessonrebates.com, and must be submitted by October 1, 2018. Please allow at least 8-10 weeks for fulfillment of valid rebate claims. 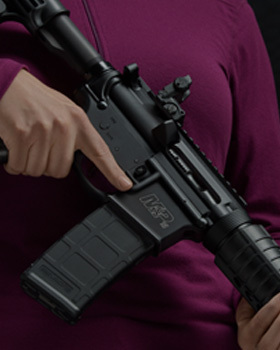 Offer valid only in the United States of America and only for those persons who are legally able to own and possess firearms. Good for actual purchases by end users; excludes resellers and distributors of firearms, and any groups, organizations, businesses, or government agencies. The Smith & Wesson® Prepaid Mastercard® will be mailed to qualifying end-user purchasers in the U.S. Smith & Wesson is not responsible for late, lost, mutilated or misdirected mail. All counterfeit, unauthorized duplicates, or invalid rebate claims (including incomplete, inaccurate or illegible submissions), or claims that fail to include valid and legible proofs of purchase as specified in the submission instructions, will be automatically rejected. Fraudulent rebate claims could result in prosecution under the U.S. Mail Fraud Statutes (18 USC, Sections 1341-1342) or other applicable law. Void where prohibited by law, subject to tax, or otherwise restricted. 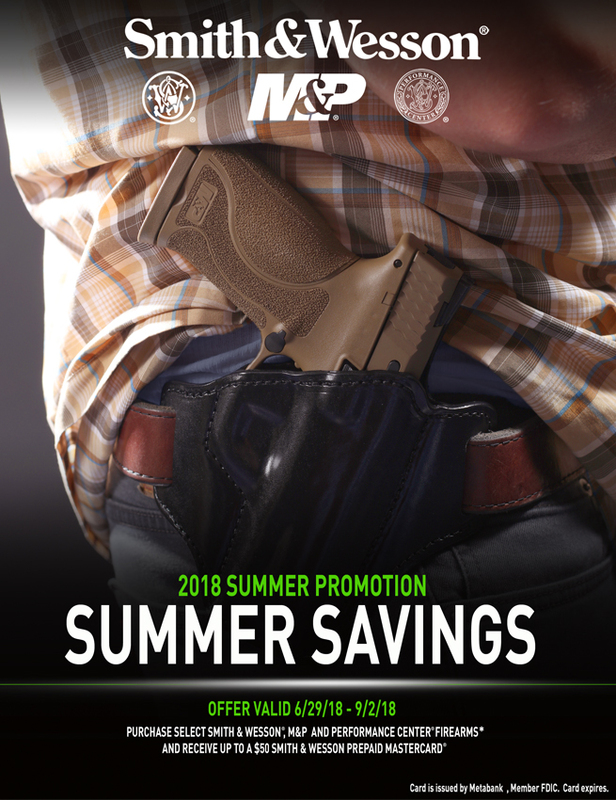 Smith & Wesson reserves the right to discontinue or change this promotion at any time. 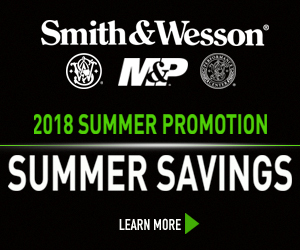 OFFER CANNOT BE COMBINED WITH ANY OTHER SMITH & WESSON PROMOTION OR DISCOUNT.